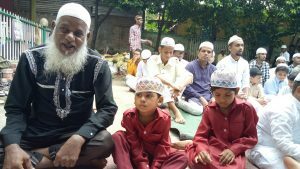 The festival of sacrifice – Eid-uj-Zuha which is also called Eid al-Adha in Arabic is celebrated in a befitting manner across the Guwahati along with the rest of the country on Wednesday. Talking to Northeast Now after namaaz at Burha Jame Masjid at Ambari in the city, general secretary of Burha Jame Masjid committee, Nijamul Haque conveyed message of peace, harmony, brotherhood and love to the people of Assam. Keeping in view the possible attempt to create unrest in the society by miscreants in the post-publication of NRC final draft, Haque appealed to the people of the State to have patience and maintain peace in the society. “On this holy occasion, I would appeal to all sections of the society – be it politicians or bureaucrats or organization leaders or common people – to stand in unison for the greater interest of the greater Assamese community and the land of sunrise in Dr Bhupen Hazarika’s word,” Haque said. A large number of people in white traditional costume gathered at the Burha Jame Masjid at Ambari and Edigah Maidan at Machkhowa in Guwahati on Wednesday morning. Children carrying innocent smile sought dua (blessing) from the Almighty. Fragrance of ittar and chanting of namaaz in public have showed the brotherhood and love. 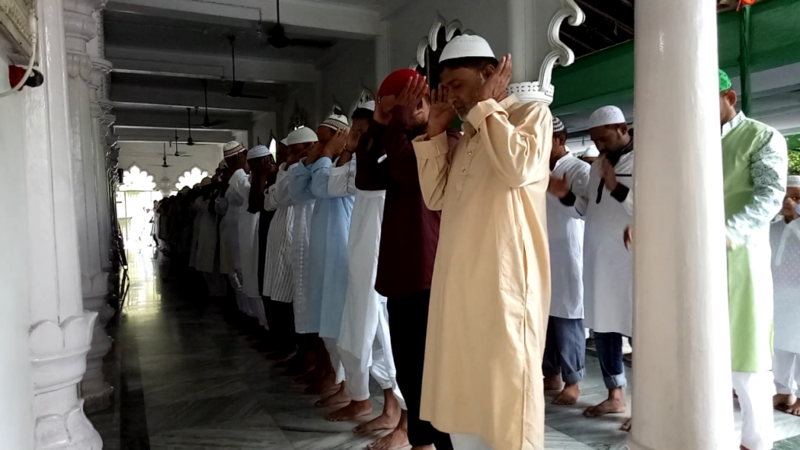 Namaaz, which is also called salat, was started at 8 am at Burha Jame Masjid and at 8:30 am at Edigah Maidan at Machkhowa. 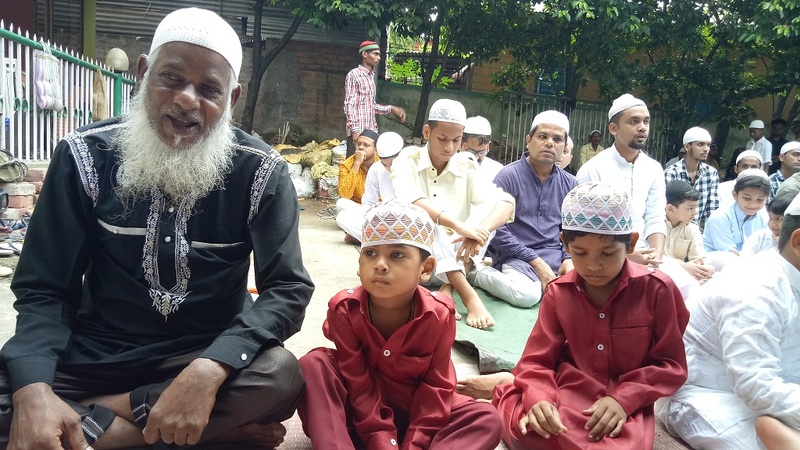 People in other parts of the city including Aathgaon, Garigaon and Islampur also offered namaaz on the occasion.